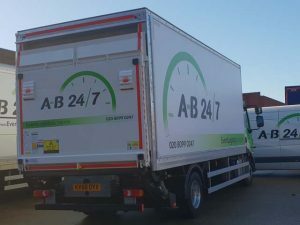 A-B 24/7 offer a range of rigid box Event Transport Trucks and Event Transport Vans for any Urgent Delivery, all based at our London SW19 depot. 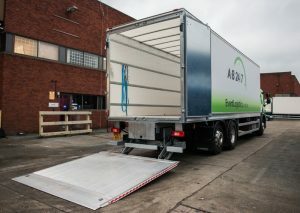 Ideal for small collections or last-minute deliveries. 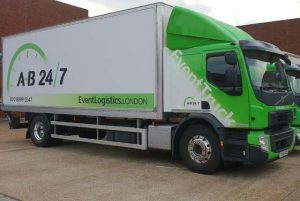 Often used for multiple collections for transfer into an Event Truck for a single vehicle delivery. 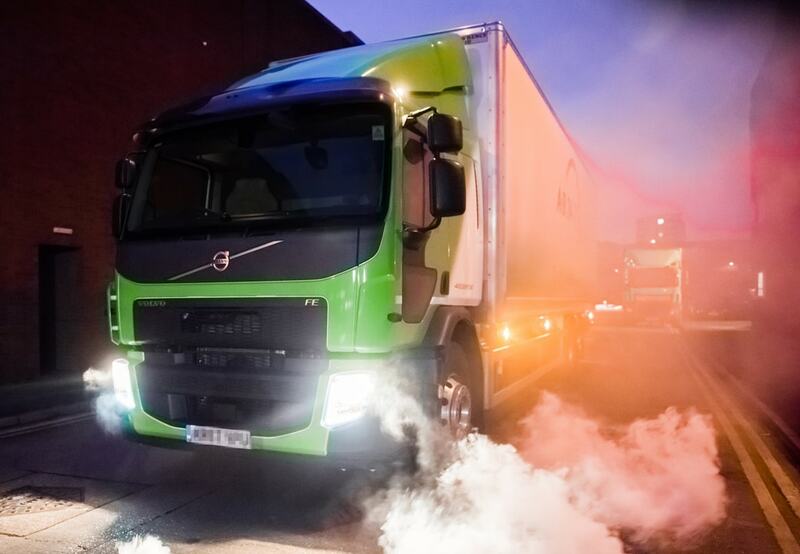 The flagship of our fleet boasts impressive capacity. Navigating the narrow streets of Theatreland is made easier with rear wheel steering and driver aid external cameras. All of our Event Trucks and Vans are fully equipped with blankets and straps. 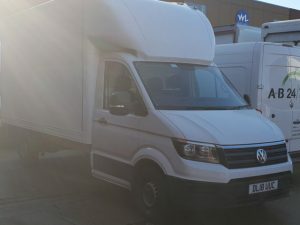 With the latest in GPS tracking fitted our entire fleet are monitored by our Wimbledon office team. 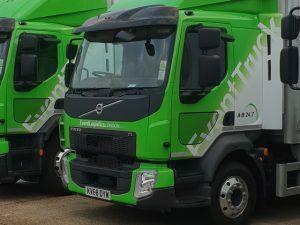 We ensure our fleet is regularly maintained, which not only ensures the smooth running and reliability of our fleet but also helps control emissions. 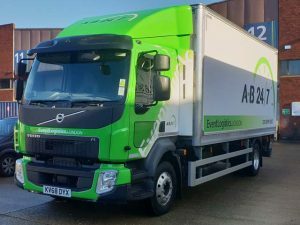 Keeping our fleet clean means your goods arrive in the best condition and we look our best. 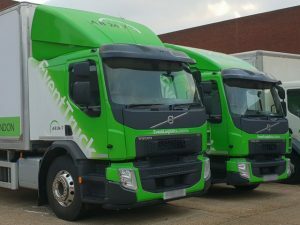 Our drivers are hand-picked and in-house trained by our Directors to ensure not only the best driving practices but also to ensure they are providing the best level of service to our clients. Our clients are involved in a range of events, most which we cannot talk about and this level of discretion runs through our whole team. 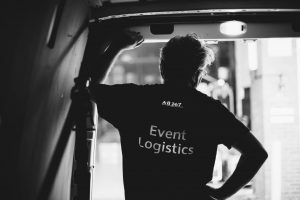 The events world can be unpredictable and we know how important logistics and transportation are. 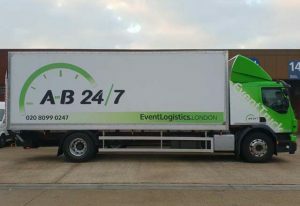 We know the best routes for London venues, we know the access requirements and we know not everything can run on time. 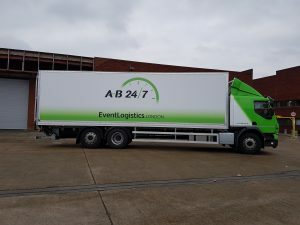 It’s our commitment to have vehicles in the right place at the right time and if we have to wait it’s not a problem, (although we may have to charge a waiting fee). 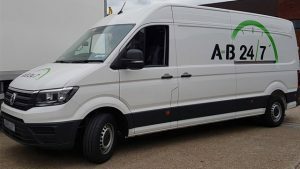 We do not rely on networks so no matter where in the UK you need us it is always our team that collect and our team that delivers.